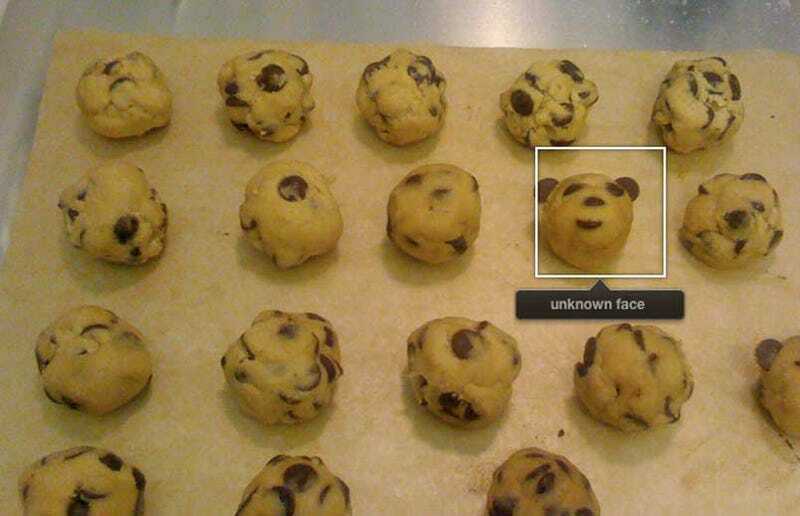 iPhoto's face detection isn't perfect, but we can't blame the software for spotting a face in this unbaked batch of cookies. I mean, c'mon, it looks like just a teddy bear! And maybe a teddy bear face doesn't constitute a human face to some of you in the audience, but I like to think that our world has grown beyond such prejudices. I like to believe that we live in a world in which any face can be considered a face.